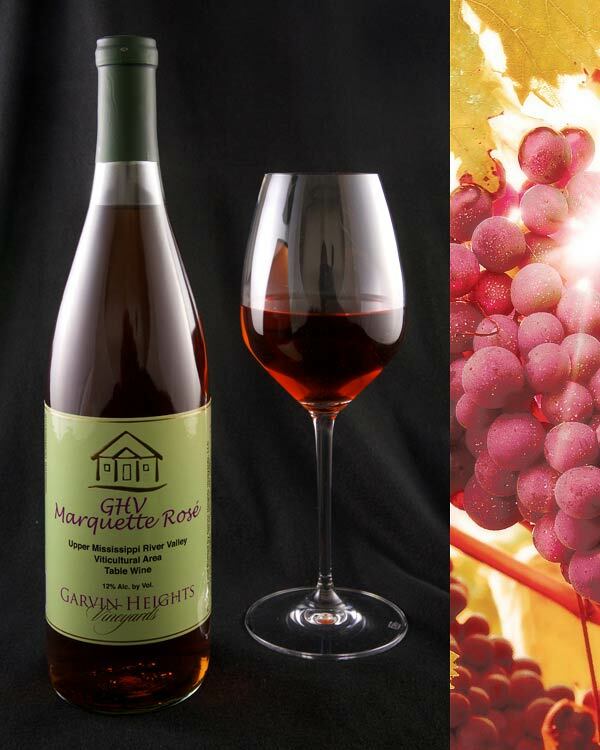 GHV Marquette Rosé is made from the Marquette grape released by the University of Minnesota in 2006. The grapes were pressed before the skins could color the wine leaving a beautiful rose color. Light bodied, this dry rose wine has notes of cherry and raspberry. This wine is crisp and clean on the palate. Enjoy this wine slightly chilled with casual foods such as hamburgers, pizza, or cheeses. GHV Frontenac Rosé is made from the Frontenac grape released by the University of Minnesota in 1996. The grapes were pressed before the skins could color the wine leaving a light pink color but retaining Frontenac’s distinctive cherry aroma. We are temporary sold out of this favorite. Enjoy this slightly sweet wine chilled with casual foods such as hamburgers, pizza, or cheeses. Great River Rosé is made from the Frontenac Gris grape. Delicate nose and hints of strawberry, citrus, & honey with a clean finish. This semi-sweet light color wine is made of the fragrant & aromatic King of the North grapes. The grapes in this wine were grown in the driftless blufflands of Minnesota. Serve chilled with meats and cheese. 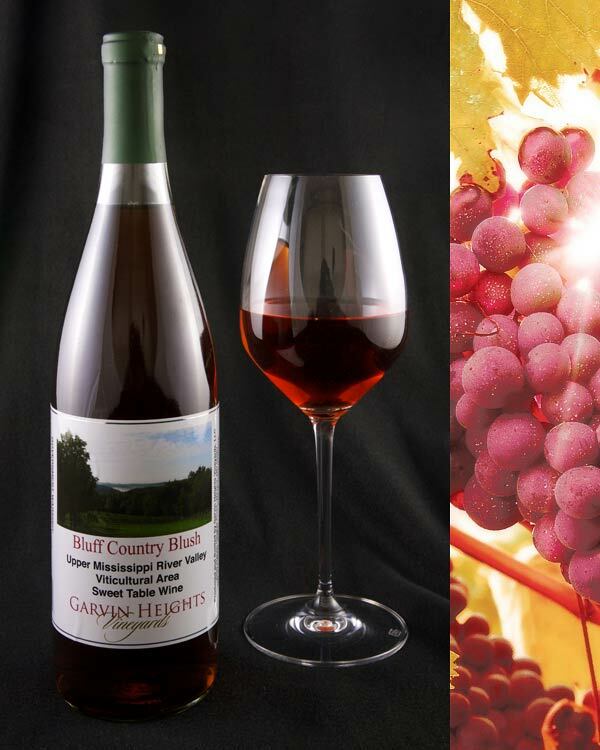 Sweet pink blush wine with aromas of fresh fruits. A midwest version of White Zinfandel made from Marquette grapes.